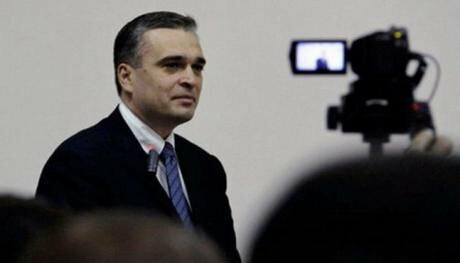 Ilgar Mammadov has been in prison since 2013. Source: Meydan.tv. All rights reserved.As Azerbaijanis go to the polls today for a problematic constitutional referendum, the country is in the midst of an unprecedented human rights crackdown — again. Or, more fittingly, still. Having locked up the country’s most prominent critics, all but extinguished the political opposition, established nearly total control of the media, and paralysed independent civil society, president Ilham Aliyev is now poised to consolidate power through a vote expected to serve as a serious blow to any remaining vestiges of democracy in Azerbaijan. Since Aliyev came to power in 2003, he has overseen wave after wave of repression, targeting one group of critics after another with increasing frequency and intensity as the years have progressed. The human rights situation in the country has been especially dire since 2009, when the two-term presidential limit was removed by constitutional referendum. This move paved the way for Aliyev’s re-election to a third term in office via a seriously flawed vote in 2013. In the run-up to the October 2013 presidential election, the Azerbaijani authorities worked particularly aggressively to silence criticism and dissent. They firmly quashed a series of pro-democracy protests in early 2013, using excessive force to disperse the peaceful actions, and detaining dozens of protesters. The period was described as Azerbaijan’s “hot January”, and led to months of targeting of activists involved with those protests and others deemed to be a threat to the regime. Azerbaijan’s jails swelled with new cases of political prisoners — among them Ilgar Mammadov, leader of the opposition Republican Alternative (REAL) movement, who was arrested in March 2013. Although Mammadov was imprisoned on trumped-up charges of inciting violent protest, the authorities’ real reason for targeting Mammadov seemed clear. Not only had he attempted to challenge Aliyev by running in the presidential election, but he had questioned the very legitimacy of a third term in office for Aliyev. Mammadov, and the REAL movement more broadly, had become too critical, and too visible for the authorities to ignore. Still behind bars three and a half years later, Mammadov, 46, has largely been overlooked by the international community, which has not rallied behind him to the same extent as perhaps more “celebrity” cases of jailed journalists and human rights defenders. But Mammadov’s continued imprisonment serves as a constant reminder to Azerbaijan’s political opposition of the serious consequences for those who dare to challenge the Aliyev regime. It also demonstrates very clearly the low regard that the Azerbaijani government has for its international obligations, despite presenting itself as a reliable international partner. Now, with Azerbaijan in the midst of a fully renewed human rights crackdown, against the backdrop of an economic crisis, and with another spate of repression likely to follow this constitutional referendum, the absence of a viable political opposition in the country is perhaps more damaging than ever before. Mammadov deserves seriously increased international attention and a renewed burst of efforts for his release. Like many figures in the Azerbaijani opposition, Mammadov first became politically active in the late 1980s as part of the national independence movement prior to the collapse of the Soviet Union. Mammadov was a student at Moscow State University at the time, where he completed a degree in political science in 1993, and went on to study at Central European University in Budapest, finishing a degree in political economy in 1997. Mammadov joined the National Independence Party, where he served as deputy chairman from 1998 to 2003 when he left the party over policy disputes. He remained politically independent until starting the REAL movement in 2009. Ilgar Mammadov in 2011. CC A-SA 4.0 Emin Asgarsoy / Wikimedia Commons. Some rights reserved.Mammadov was one of the first local contacts I established after arriving in Baku in June 2006 — my first diplomatic posting as a political officer at the US embassy. The year prior, Mammadov had left his position as a political assistant at the US embassy, and stood as an independent candidate in the November 2005 parliamentary elections. In addition to his former post at the US embassy, Mammadov has held roles as an analyst with the International Crisis Group, a board member of Open Society Institute-Assistance Foundation Azerbaijan, a board member of the Natural Resource Governance Institute, and director of the Council of Europe School of Political Studies in Baku (a position he retained until his arrest). By the time I arrived in Baku, Mammadov was working as a political analyst and blogger, and running projects related to public access to information. He was a frequent interlocutor of the embassy, someone whose opinions we often sought in response to developments in the country. He was extremely talented — highly educated, well-spoken, charismatic and impassioned. His own views were distinctly pro-western, and he knew both how to talk to a western audience and how to explain western values to the local population. Mammadov was young and ambitious, and it was clear that his star was rising. According to Altay Goyushov, a historian and member of the REAL board, Mammadov’s blog — the first of its kind in Azerbaijan — quickly became incredibly popular among Baku’s chattering classes. Goyushov said the site brought together all the key figures in Azerbaijan’s opposition politics, who used it as a policy debate forum. The blog began to influence public opinion, and eventually led to the formation of REAL in January 2009 in response to the government’s proposal of a series of constitutional amendments that were put to a vote in March 2009. Most significantly, the constitutional amendments adopted in 2009 removed the two-term limitation that had been in place for the Azerbaijani presidency. These changes cleared the way for Aliyev to remain in office indefinitely. Mammadov was among the most vocal critics of the changes, even arguing against them on ANS TV — a rare opportunity for national broadcast of an opposition perspective. Goyushov said that appearance would later become even more popular, being widely shared and viewed again following Mammadov’s arrest in 2013. The last time I saw Mammadov in person was in December 2012, just days before I would unknowingly leave Baku for the last time. (My Azerbaijani residence permit would be illegally revoked in connection with my human rights work on the ground.) When I met Mammadov that December, he was fully expecting to be arrested at any moment, as a group of MPs were pursuing a criminal defamation case against him for calling the Azerbaijani parliament a “zoo”. Mammadov was indeed arrested less than three months later. The charges were even more ludicrous than the initial defamation accusation. After travelling to the region of Ismayilli to look into a protest that had erupted in response to local corruption, Mammadov was charged with inciting the protest himself, allegedly with the use of violence. .Following a trial marred with due process violations, Mammadov was sentenced to a staggering seven years’ imprisonment. Tofig Yagublu, a journalist and deputy chair of the opposition Musavat party, who had travelled to Ismayilli with Mammadov, stood trial alongside him and was sentenced to five years’ imprisonment on similar charges, although he was released early by presidential pardon in March 2016. But Mammadov’s real crime? Daring to challenge president Aliyev. Mammadov had already announced his intention to stand as a presidential candidate during that year’s election. In fact, he attempted to run from jail, but was thwarted when the Central Election Commission claimed that 4,982 of the 41,247 signatures gathered in support of his candidacy were invalid. Further, Mammadov and other leading REAL movement figures very publicly argued that constitutional amendments adopted in the 2009 referendum did not apply to president Aliyev, but to his successor, thus calling into question the very legitimacy of Aliyev’s third term in office. Mammadov was also the only leader of an opposition group to participate in the unsanctioned protests that took place during Azerbaijan’s “hot January” just prior to his arrest in 2013. In the three and a half years that Mammadov has now been jailed, the space for dissent has shrunk considerably in Azerbaijan. And yet he has remained vocal, finding ways to continue posting on his blog about political developments in the country, and refusing to write a letter to president Aliyev asking for pardon — a step that has reportedly been effective in some other cases of political prisoners. Mammadov has paid a heavy price for refusing to be silenced; ahead of the November 2015 parliamentary elections, reports surfaced that he had been tortured by prison officials — beaten, dragged and kicked, resulting in serious injuries and broken teeth. Due to the complete lack of rule of law in the country, as with all other political cases in Azerbaijan, Mammadov’s only hope for justice was from the European Court of Human Rights. The Court’s judgment, issued in May 2014, did not disappoint: the Court declared Mammadov’s detention to be politically motivated and ordered the Azerbaijani government to release him. The judgment took effect in October 2014. However, nearly two years later, Azerbaijan continues to flout the Court’s decision, in blatant breach of its obligations as a Council of Europe member. The Council of Europe has taken significant action in an attempt to secure Mammadov’s release — including numerous statements by Secretary General Thorbjørn Jagland, who also launched a rare investigation into Azerbaijan’s compliance with the European Convention on Human Rights, and numerous interim resolutions of the Committee of Ministers, which discusses Mammadov’s cases at its weekly “Meetings of the Ministers’ Deputies” as a standing agenda item. But ultimately, the inability of the Council of Europe to hold Azerbaijan accountable as a member is now undermining the credibility of the entire body, and if unaddressed, may lead to Azerbaijan’s expulsion from the organisation. Although its popularity certainly seems to be growing within Azerbaijan, little is known internationally about the REAL movement. In 2014, one foreign commentator labelled the movement “Azerbaijan’s illiberal opposition”. Eldar Mamedov pointed to comments made by REAL’s then co-leader Erkin Gadirli stating that homosexuality was “a choice”, and later calling for the assassination of Armenian officials for their role in the 1992 Khojali massacre. But this criticism is roundly rejected by REAL board members, who maintain that the comments in question were Gadirli’s personal views and did not reflect REAL’s policies. Gadirli was removed from his position as co-leader shortly after the comments in question, but remains a member of the REAL board. Indeed, the term “illiberal opposition” seems unfair when examining the movement’s policies. A more fitting description comes up when speaking to most local commentators: that REAL has filled a gap as Azerbaijan’s middle-class opposition, and one that appeals to the country’s educated youth. Natiq Jafarli, an economist and REAL board member, said the movement had become one of the leading opposition bodies in the country due to its appeal to the middle class, professionals, students and youth. Rasul Jafarov, a human rights defender and REAL board member, says that to him, REAL is the “most free, most democratic institution” in Azerbaijan, which may explain the attraction of REAL to many others in Baku’s human rights community. Altay Goyushov, historian and REAL board member, describes the movement as Azerbaijan’s “only liberal opposition”. He said REAL was the only opposition group that had published its policy programme, which included promotion of Euro-Atlantic integration; establishing a truly representative government; and ideals such as rule of law, anti-corruption, a free-market economy and secularism. Goyushov argued that this focus on policy, rather than uniting around a single personality, made REAL different from Azerbaijan’s other opposition groups. Representatives of REAL are reluctant to comment on the movement’s exact membership figures, but insist that support has grown significantly over the course of Mammadov’s imprisonment, which has given REAL greater visibility. REAL’s Facebook page currently has 14,000 followers — a significant feat in a country where a simple “like” of a critical page or post can result in arrest or other serious consequences. In 2013, the movement collected more than 41,000 signatures in support of Mammadov’s presidential bid. As Azerbaijan's economy continues to slow down, we can expect to see repression ramp-up against dissent. (c) Sergei Grits / AP / Press Association Images. All rights reserved.Mammadov is not the only REAL member to be targeted. In 2014, Rasul Jafarov was arrested and later sentenced to six and a half years’ imprisonment on spurious charges of tax evasion, illegal entrepreneurship, and abuse of power. He spent 18 months behind bars before his early release by presidential pardon in March 2016. Other REAL members were targeted professionally; for example, Altay Goyushov and Erkin Gadirli were fired from their positions at Baku State University, and Khalid Bagirov was disbarred as an attorney. More recently, on 12 August, Natig Jafarli was arrested on the same charges that had been used against Rasul Jafarov and other civil society figures — illegal entrepreneurship, tax evasion and abuse of power. In a surprise move, Jafarli was released by a Baku court on 9 September — however he remains under a travel ban, and the criminal charges against him still stand. He could face between three and eight years’ imprisonment if convicted. Jafarli told me that he believes he was targeted due to the government’s worry over REAL’s growing influence in the country and appeal to Azerbaijan’s youth. All REAL board members have been questioned in Jafarli’s case, and the statement by the General Prosecutor’s Office on Jafarli’s arrest named Ilgar Mammadov — a move interpreted by some observers as a warning that a new criminal case could be opened against Mammadov, perhaps in an attempt by authorities to circumvent the European Court of Human Rights’ judgment in his case. While Jafarli remained detained, two young rank-and-file members of REAL, Elshan Gasimov and Togrul Ismayilov, were detained on 15 August immediately after collecting leaflets to be used in REAL’s campaigning related to the constitutional referendum. The movement was not calling for a boycott, rather for citizens to take part and vote against the proposed changes. Gasimov and Ismayilov were sentenced to seven days’ administration each, which resulted in REAL suspending its collection of signatures related to the referendum. Board members viewed it as involving undue risk for ordinary members, with little chance of success, given that authorities had already denied registration to other opposition groups. 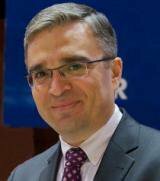 One thing is certain: the Azerbaijani authorities are determined to silence Ilgar Mammadov and the broader REAL movement, and are employing various tactics in an attempt to do so. Given past patterns of repression around election periods in Azerbaijan, the authorities’ moves against REAL seem likely to increase, rather than abate, following the constitutional referendum, to punish REAL for speaking out in the run-up to the referendum, and to hinder the movement’s chances of campaigning effectively in any elections to follow. Now, while Mammadov has sat in prison for more than three and a half years, Azerbaijanis are voting on a series of problematic constitutional amendments that would effectively consolidate power in the country’s already dominant presidency. Once the changes have been adopted — and observers have little doubt that they will be, given that Azerbaijan has not held a single fair and free election under Aliyev’s rule — early presidential, and possibly parliamentary, elections could be triggered within a matter of weeks. Another flurry of flawed votes could prove irreversibly damaging to Azerbaijan’s already fragile democratic movement. All of this occurs while western leaders continue to shake Aliyev’s hand and smile for photos, carrying on with business as usual with a regime that is systematically failing to uphold its international human rights obligations. Western officials seem largely accepting of the myth portrayed by the Aliyev regime and its lobbyists that the international community needs Azerbaijan more than Azerbaijan needs the international community — a claim that rings hollow as the Azerbaijani government seeks international financing in the midst of domestic economic crisis. Meanwhile, it is people like Mammadov who will pay the price for western inaction. A man who has spent his entire adult life promoting democratic values, who has worked for the US government and the Council of Europe, is being let down by precisely those institutions, and is being left at serious risk in an Azerbaijani jail cell despite a solid international legal case for his release. The west is failing to prioritise Mammadov’s case and the cases of Azerbaijan’s dozens of other political prisoners, while inexplicably walking on eggshells to placate a regime that ultimately needs western support more than ever before. If the international community is serious about its stated commitment to promote and protect democracy and human rights in Azerbaijan, it must ensure that its actions match its words. Measures like individual sanctions against Azerbaijani officials responsible for human rights officials — as called for in a resolution of the European Parliament and in a bill tabled at the US Congress — should be pursued. The Aliyev regime should not be given anything that it wants from the west — whether international loans or an invitation to the White House under a new administration — without first implementing concrete democratic reforms, starting with the release of Ilgar Mammadov and all other political prisoners in Azerbaijan. 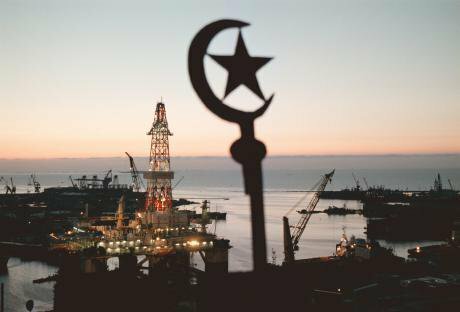 Azerbaijan’s post-Soviet memory politics are great at uniting society. Too bad it’s against external enemies. Read more here.